Congratulations to Amy P, Eva M. and Francine A., winners of the tour prizes and to Eskiemama Reads and fundinmental, the host winners. 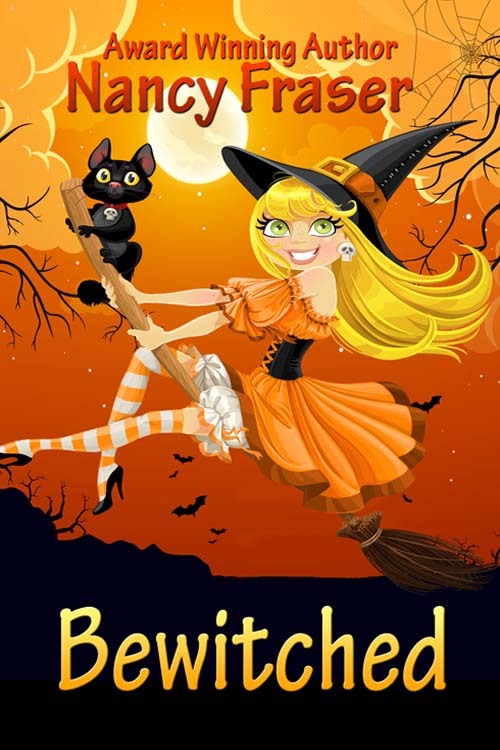 Goddess Fish Promotions is organizing a Virtual Blurb Blitz Tour for Bewitched by Nancy Fraser, a Vintage (1960s) Historical available October 7 from The Wild Rose Press. The tour will run October 3 – October 14, and this tour will not include interviews or guest blogs; however, a blurb, excerpt and author bio will be provided to every host for inclusion on their blog. A PDF copy of the book is available for review in conjunction with a promo post. Nancy Fraser will be awarding a $15 Amazon/BN GC, a second prize of a $5 gift card and a third prize of a digital copy of a novella titled Only Yours to a randomly drawn winner via rafflecopter during the tour, and a $10 Amazon/BN GC and a separate draw for another $10 card to a randomly drawn host who has chosen to review the story. Chicago, Fall 1964 Allison Stiles is the epitome of responsibility. Guardian to her two rambunctious younger brothers, she also runs a home daycare. While she doesn't have time for a vacation, she really needs a diversion. I would love to host on 10/13 on Fabulous and Brunette - thanks!! The Reading Addict is happy to host 10/11. Thanks! Book Lover Promo can host October 10, thank you! Megan Morgan can host October 12th. BooksChatter can host on 6 October. Can do 7 October. Thanks. I can do the 11th.